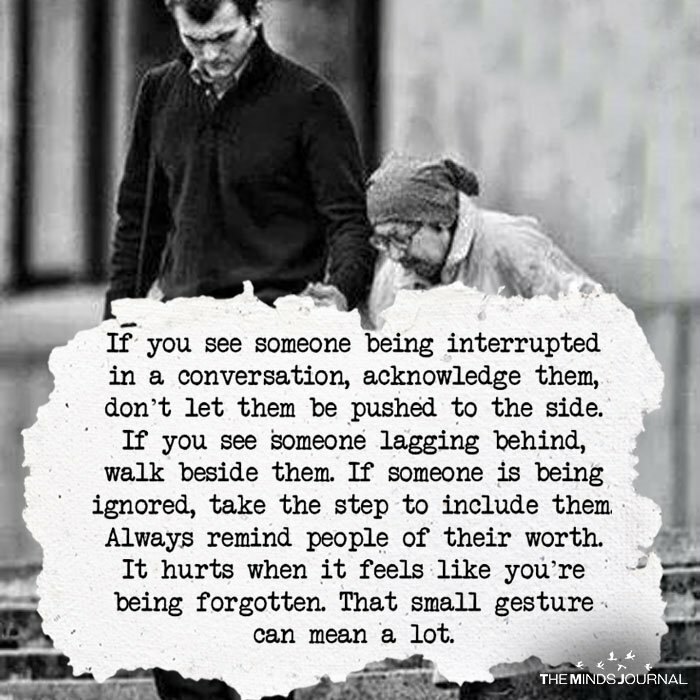 If you see someone being interrupted in a conversation, acknowledge them, don’t let them be pushed to the side. if you see someone lagging behind, walk beside them. if someone is being ignored, take the step to include them. always remind people of their worth. it hurts when it feels like you’re being forgotten. that small gesture can mean a lot. I grew up seeing my mother always doing this.